A few years ago, Antonin Scalia, one of the nine justices on the US supreme court, made a bold statement. 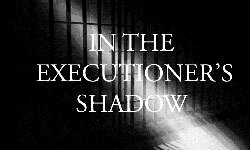 There has not been, he said, "a single case – not one – in which it is clear that a person was executed for a crime he did not commit. If such an event had occurred … the innocent's name would be shouted from the rooftops." AP -- The Texas prosecutor leading an aggressive push to free wrongly imprisoned inmates, in a county where more than two dozen wrongful convictions have been overturned, is calling for a review of the capital punishment system in the nation's busiest death penalty state. Craig Watkins' tenure as Dallas County's top prosecutor has earned him a national reputation. Now, as Watkins publicly acknowledges that his great-grandfather was executed in Texas almost 80 years ago, he called on state lawmakers to review death penalty procedures to ensure the punishment is fairly administered. Read more about Did Texas Execute an Innocent Man?